Almost a year ago I wrote a post about Chosen, a new documentary by Shared Hope International. Now Shared Hope has released Chosen – Gang Edition. Here’s a little info about it. Growing up in a broken home with an unstable mother and absent father left Maria yearning for love and protection. By 12 years old she fell into the arms of what she believed would be a loyal, protective family: a gang. But for the next five years, Maria was forced to sacrifice her body to Mexican drug runs, prostitution, and extreme violence. Trapped in a world she never expected, she was forced to make the ultimate decision: surrender her life to the gang or risk escape? 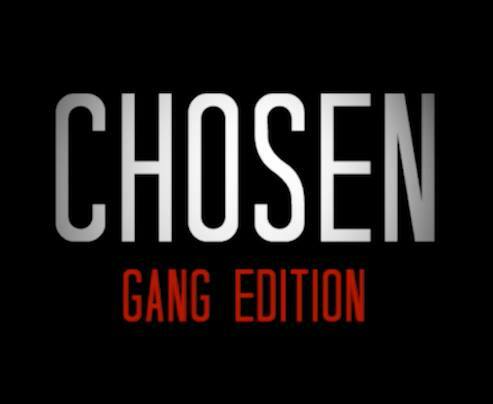 Watch the Chosen – Gang Edition trailer below and then visit Shared Hope International to learn more about Chosen, Chosen PLUS Gang Edition, and Chosen – Gang Edition, and to purchase these documentaries.